“ALL THINGS LEGAL” is a pilot legal news and information web series that features minority and women lawyers explaining the content, context and application of new legislation and court opinions. The mission of the program is to educate and empower communities and businesses with a substantive understanding of the law so they can decipher the facts and ultimately make the best business and life decisions. 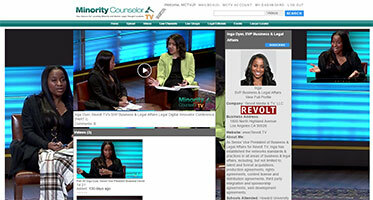 All Things Legal will be aired only on the newly launched digital TV network MinorityCounselorTV.com where minority legal professionals are promoted as subject matter thoughts leaders through branded practice area shows, live event coverage, and the aggregation and redistribution of diversity leader/organization published content. MCTV focuses on the substance of the law and not sound bits. 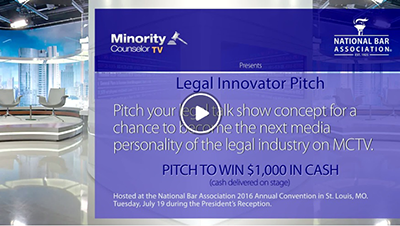 Founded and hosted by veteran lawyer, Jo Saint-George, the mission of MCTV, as a legal media digital network, is to give elevate the thought leadership of minority and woman legal professionals so that they can better serve their communities. 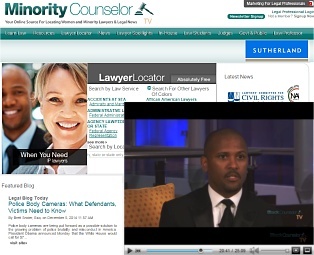 MCTV provides media coverage at legal events such as galas, conferences, diversity summits, and award ceremonies to produce special segments that feature key minority and women lawyers speakers, honorees, and awardees. 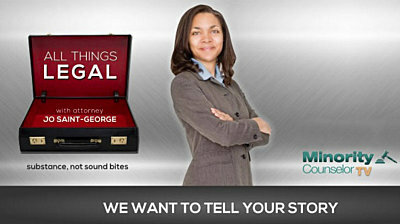 Let us feature your lawyers as subject matter experts in thought provoking, informative interviews.